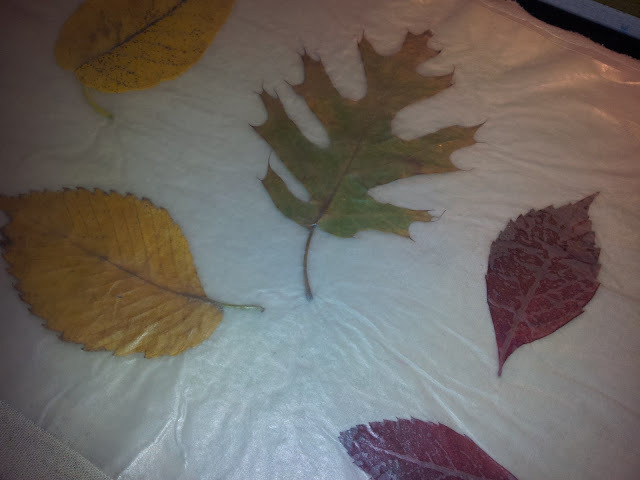 I love Fall decor, and I love clever interior design; I just don't like to pay for it! At the least, I want to pay as little as possible for it. The great thing about Fall, is that you can find lots of things outside to decorate the inside of your home for FREE! 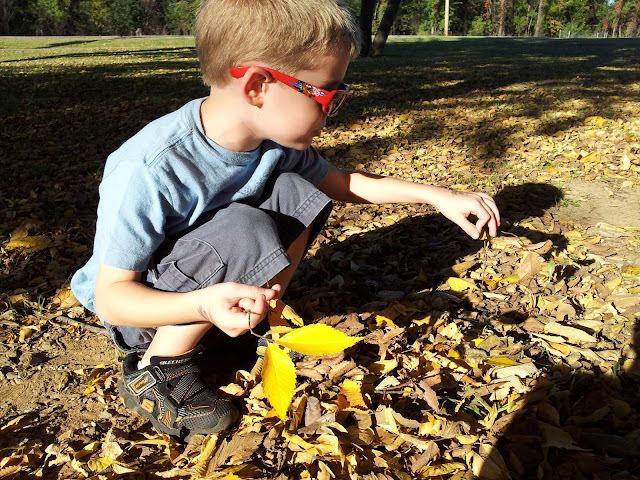 Over Fall Break from school we worked on collecting things from nature that we could use to get crafty! 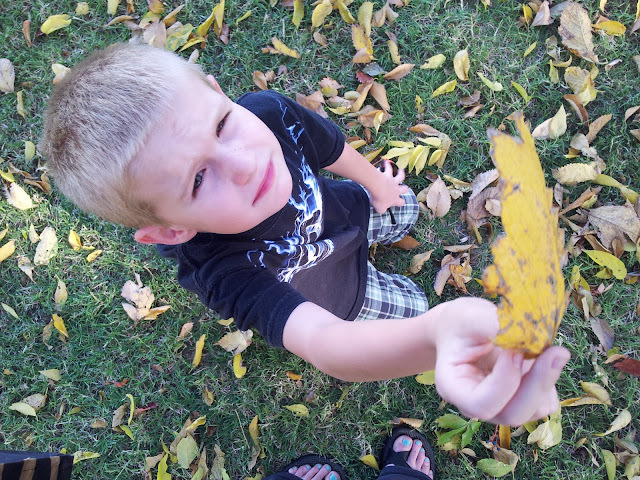 One beautiful morning, we went for a walk to collect all different kinds of leaves. We walked to our school playground because the boys assured me there was an abundance of leaves there. 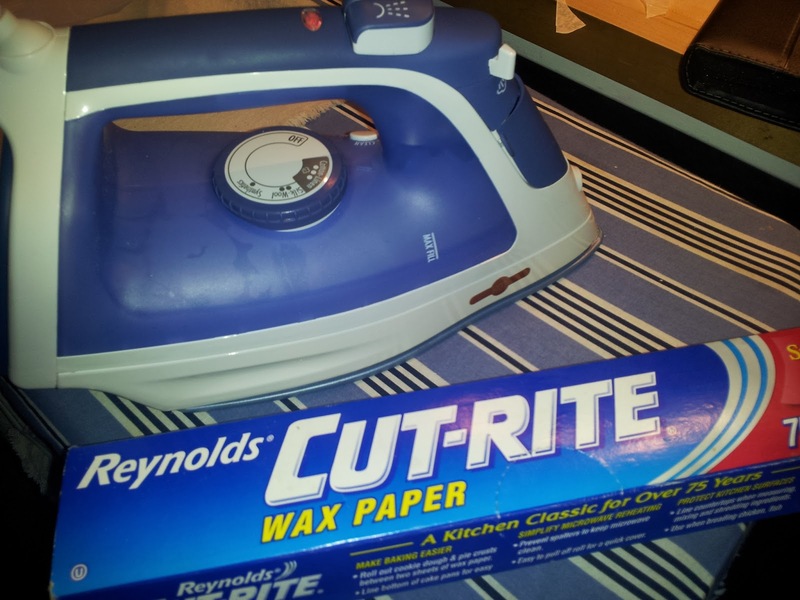 I'd planned to preserved the leaves in wax paper, so when we got home, I collected my supplies: wax paper and an iron (totally dry, no water or steam, so dump it out if it's full!). 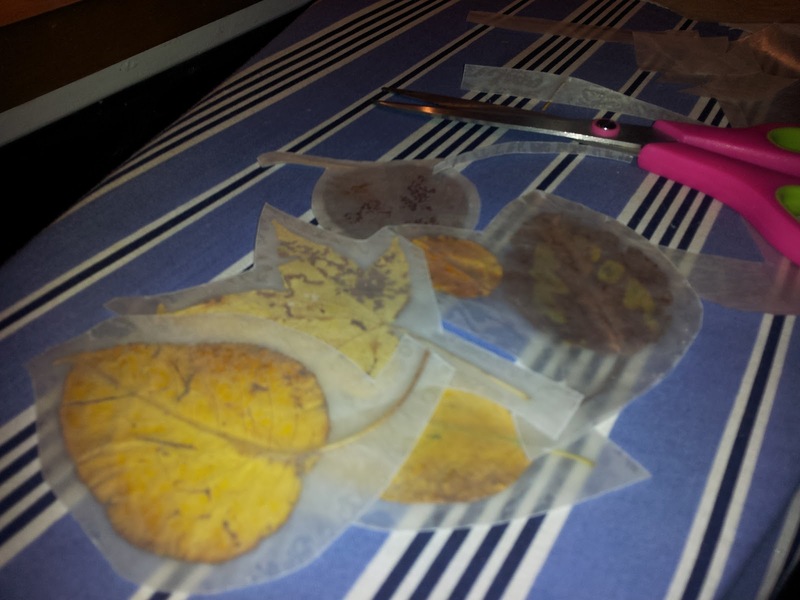 I sandwiched several leaves in between the two pieces of wax paper, on top of a dry rag or towel. 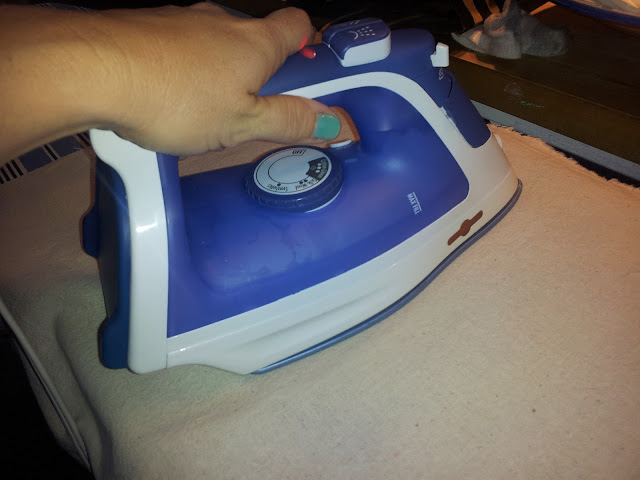 Cover the top with another towel, then press with an iron set on high (again, no steam), for about 30 seconds or so, until you see that wax pieces have adhered to each other. 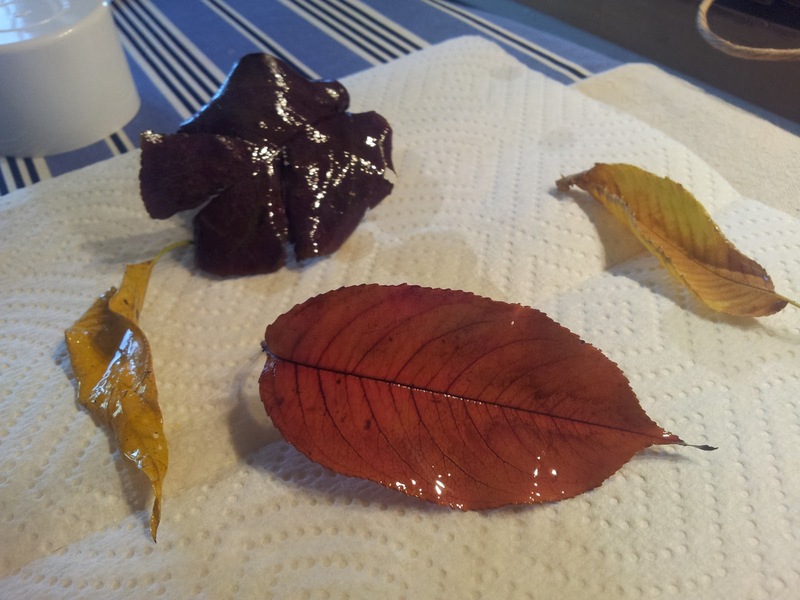 Then you can carefully cut out the leaves, being careful not to get too close to the edge of the leaf where the wax is still separated a bit. 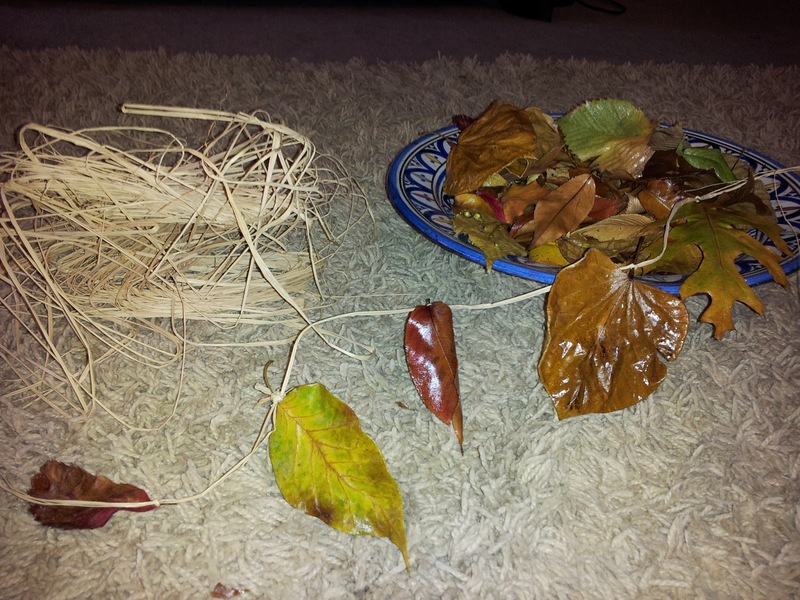 From there, my plan had been to use a hole puncher to create a hole and string the leaves onto raffia to make a garland. But I wasn't really thrilled with the waxy outcome. 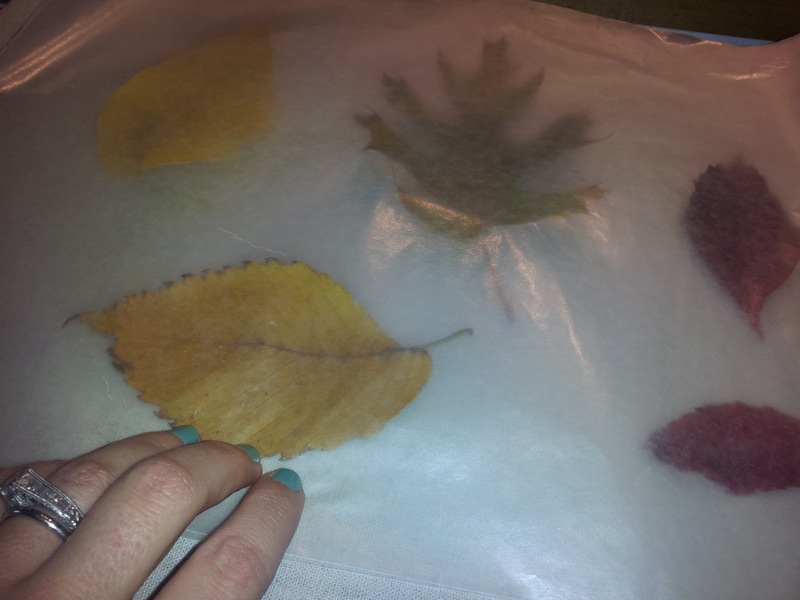 The wax paper creates a bit of a fog and the bright colors of the leaves don't pop as well. 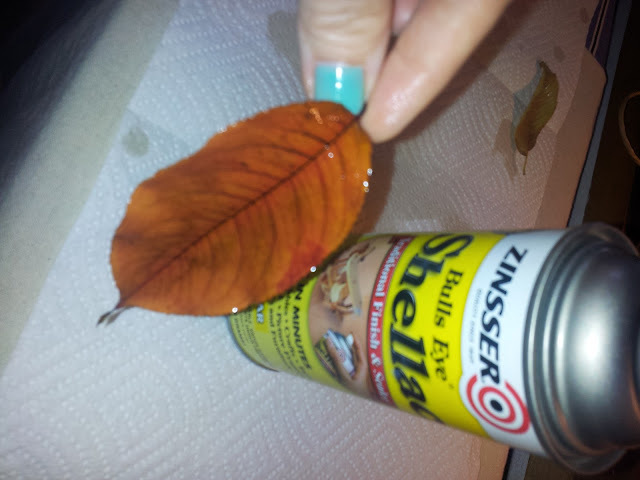 So I got out my Shellac and started spraying down the leaves. 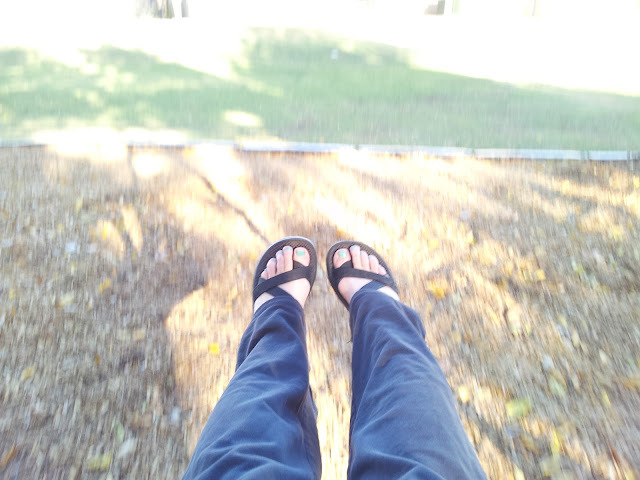 I was a LOT happier with the outcome. If you do this, make sure you ventilate the room well with open windows and fans, and cover your nose and mouth as an extra measure of safety if you feel you need to. Spray in a steady stream to coat both front and back of the leaves to try and seal in the color. 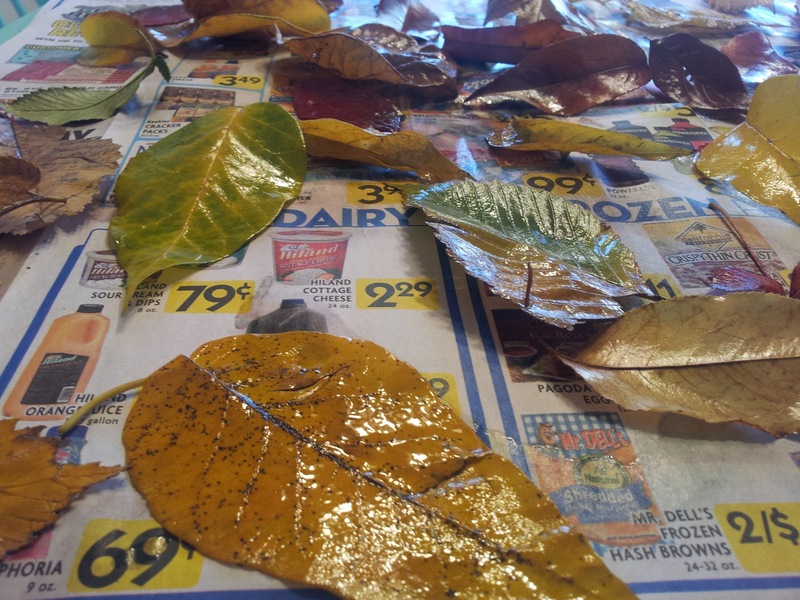 I highly suggest if you're doing this on your kitchen table to cover your table with something that's waterproof before Shellacking leaves. I effectively Shellacked newspaper to mine! Voila! 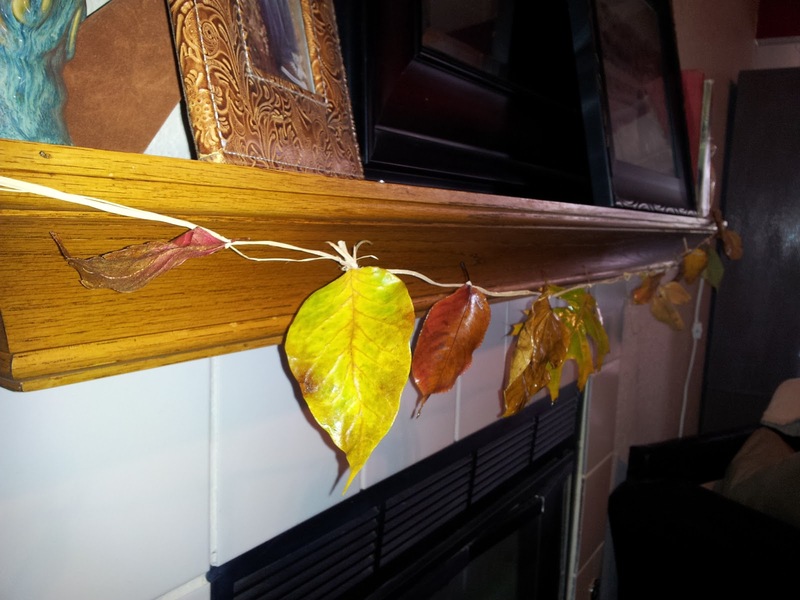 A lovely little leaf garland to bring the beautiful Autumn colors of the outdoors into your home! And the kids love helping!